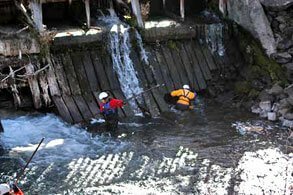 SAR teams consist of highly trained volunteers for specializations such as swift water rescue, mountain rescue, winter search, medical evacuation, water operations and canine search. The Medical Team is life’s blood for Search & Rescue missions. Supervised by an ER Physician, the team includes Nurses, Doctors, Paramedics, EMTs, and First Aid Level providers. 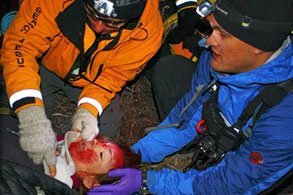 All SAR members maintain certification in Wilderness First Aid and CPR. This allows an immediate medical evaluation to be made, called in, and reported within minutes of locating a subject. SAR Medical is one of two off-pavement resources for EMS care in the region, Airlink is the other. The SAR Medical Team is required for nearly all SAR missions as either direct caregivers for the subject(s) or to support our team members in the event of their injury. The team’s basic function is to reach, assess, perform limited interventions, and rapidly transport patients to a higher level of care. 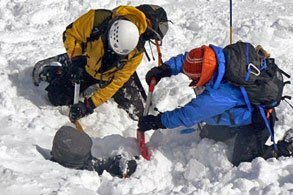 In addition, the team provides Medical Training to General SAR members. The Ground Team is trained and equipped to respond at a moments notice in order to make Central Oregon a safer place to live. To ensure all SAR members are mission ready 24/7. This includes providing the proper training and equipment so members can answer the call when the need is there. 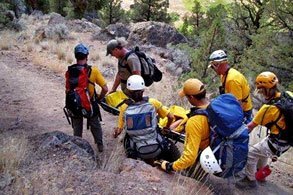 In the vast Deschutes County wilderness there are countless inaccessible and dangerous places to get lost or injured. The Mountain Rescue Unit (MRU) not only covers mountainous snow, rock, and glacier terrain, but they also have the internal capability for rescues on technical rock climbing routes and caves. A special thanks to the special sponsors who support the Mountain Rescue Unit with the gear and training. 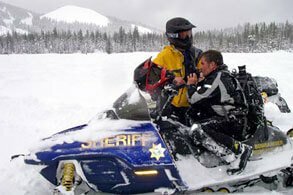 MRU will access, search, reach, treat, package, and transport a casualty from any terrestrial location within Deschutes County during any season of the year. Locations include, but are not limited to: cliff faces of any angle, cave environments, wilderness and alpine areas, Smith Rock climbing area, and any area requiring technical travel or footing. The All Terrain Vehicle (ATV) team for Deschutes County Search & Rescue is ready 24/7 to mount up and do the dirty work. When these guys get paged expect a lot of ground to get covered in a short amount of time. The ATV is capable of providing search containment, hauling gear, transporting SAR members, assisting with fire evacuations, and extracting the lost or injured subject. This team’s specialized equipment includes and ambusled to extract seriously injured subjects. Special thank you to our sponsors for helping our Search & Rescue ATV Team stay tuned up and ready to save lives. The equipment and teams are locked and loaded because of you. From searching miles of trail in our forests to performing road containment, their skill sets are vast. The ATV team will respond to Search & Rescue missions with adequate personnel trained and qualified to ride as well as adequate equipment to support the mission. 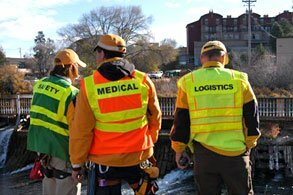 The team maintains competency in road and trail searches, fire evacuation, gear transport, and patient evacuation. 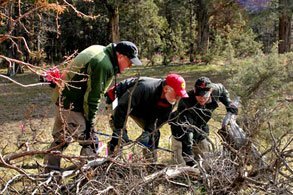 One of the most difficult responsibilities is held by Deschutes County’s Search & Rescue Dive Team. The amount of training hours involved to be able to achieve the technical skills that are required for this team are too many to count. The challenges and dangers of operating underwater are many, but leave it to this team to take care of business. This team is charged with body recovery in area rivers and lakes. They play a critical role in searching for missing persons, and support local law enforcement with the search for criminal evidence that might have been thrown into the water. A special thank you to the sponsors that aid in keeping this team’s equipment (which is their life) and their intense training in tip top condition. 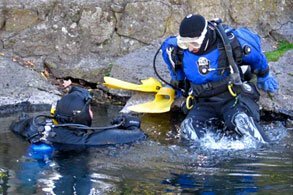 The SAR Dive Team mission is to provide assistance in locating, recovering and preserving evidence, and locating and recovering drowning victims through the deployment of properly trained and equipped divers in the safest manner possible while striving to raise public conscience concerning safety around water and ice. Here in Deschutes County we are blessed with an abundance of water related recreational activities. This includes both still water and dynamic water situations. While most people believe that recreating in our lakes and rivers is a safe activity, each year the Swift Water Team is called out to provide assistance to swimmers and/or boaters who find themselves in varying degrees of trouble. The Team also performs search/recovery operations for persons that have become lost in the water. The Team is made up of volunteers with varying degrees of expertise. Team members receive hands on training in land based rescue options, ropes and mechanical advantage systems, rescue swimmer technician, and rescue boat operation. The Team is outfitted with personnel and equipment to safely conduct small scale technical water rescue, search operations. With with added availability of additional non-funded equipment, the capabilities of your Swift Water Team would be enhanced with the ability for a more rapid response/deployment of emergency rescue resources, as well as be able to provide for better search/recovery operations. The mission the SAR Swift Water Team is to respond to water rescue and search/recovery emergencies within the County of Deschutes, Oregon. The Team will supplement neighboring jurisdictions with assistance in water related emergency incidents at their request. The goal of the Team is to provide the citizens of our communities with the assurance of quality service through the use of updated equipment and to provide quality training and qualification / certification of our members. One of the most important and heavily utilized teams during our winter missions, our Search & Rescue Snowmobile Team are truly local heroes. Ready to rock as soon as their pagers go off, This specialized team is capable of traveling in all conditions and most locations throughout our beautiful Deschutes County. Not only can this team set up a landing zone for Airlink to extract an injured person they are able to operate utility machines which can transfer people, gear, subjects, passengers and most anything else that needs to move over snow. The Snowmobile Team is a group of dedicated snow mobilers who are committed to train for any snow and terrain condition. It is the amazing sponsors that help this team keep their machines and equipment and most importantly, their training, up to the standards that it takes to execute a rescue operation in extreme conditions! From rescuing an injured subject off a trail or sending teams deep into the back country for search scenarios, this team is responsible for saving lives. 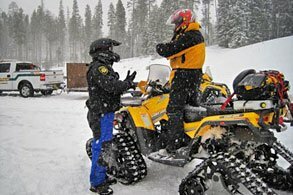 The purpose of the Deschutes County Search & Rescue Snowmobile Team is to safely access the Back country and snowmobile trail systems for efficient contact to injured or lost subjects as well as provide winter snow mission transportation of gear, volunteers and subjects, or for other transport needs. 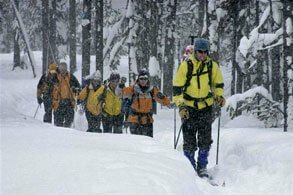 Central Oregon features some tantalizing back country ski hills, back country snowshoeing, and cross country skiing. This team gives the community piece of mind that if something goes wrong, they are out in force to find you. Featuring a specialty cross country, back country, and alpine unit, these Search & Rescue Team members are trained to find lost or injured snowboarders, skiers, and snow shoers. They are familiar with the area terrain and know the places things are likely to go wrong! The equipment requirements and training for this team is no small cup of hot chocolate. A special thank you is in order to our sponsors for helping with the training and equipment demands that keep their skills sharp, and their ski’s waxed! The Ski Team is trained and ready for any mission the Incident Management Team deems the ski team to be an effective resource. Any terrain, any conditions, any time of day. Also known as our eyes in the sky, Air Ops is the link between the air assets and the ground teams. The Air Ops team coordinates the sky search for a missing person, coordinates SAR member transport into the back county, sets up landing zones, and helps ensure timely subject extraction. 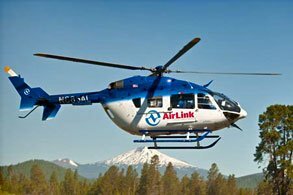 Special thank you to Air Link, one of our most important resources who work closely with our Air Ops specialists. The Air National Guard and the Civil Air Patrol are additional Air Ops partners. Additional thanks to our sponsors for aiding in training and equipment. Our eyes in the sky are proud to have your support. To provide trained volunteers to support any search and rescue mission within or outside of Deschutes County as requested by the Sheriff when aerial assets are required. The Tracking Team supports search missions and missions for the Law Enforcement organizations at the city, county, state and federal levels. This team has been integral in finding lost and injured subjects, thus saving their lives. The SAR Tracking team will maintain team skill sets to provide tracking lead for lost or missing person(s) in Urban and Rural areas as well as providing human track evaluation/analysis for a Crime Scene and/or Evidence Search. With a dog’s legendary sense of smell, they are utilized to locate lost or missing persons. Training and maintaining a search dog takes a tremendous commitment on the part of the dog and the handler. We spend 50 to 100 hours per month in group and individual training to be ready for call-outs. We employ the most up-to-date training methods and maintain certification standards commensurate with national standards. We train and work closely with our neighboring Crook County SAR K9 teams to provide specially trained dog and handler volunteers to serve Central Oregon search and rescue and law enforcement. The SAR K9 Team is recruiting new members to diversify our capabilities in a variety of search disciplines, such as trailing, air scent, water, avalanche, and cadaver search. K9 Search Teams are available 24 hours a day, 365 days a year to respond to local, state, and federal law enforcement as well as other public service agency requests. For the Horse Team, both the horse and rider must qualify by passing a rigorous battery of testing. This team can reach the far reaches of the Wilderness areas much faster then the average hiker. The team has pack animals trained to carry heavy equipment, and if the mission calls for it, a recovered body. 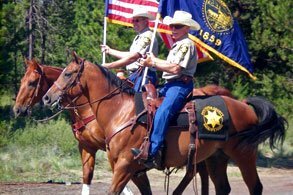 The team partners with the Deschutes County Sheriff’s Posse to augment their numbers if more horses and riders are needed for a search. The members of the Incident Management Team (IMT) are the unsung heroes of any mission. This team provides the overhead and guidance for the teams who go out to find the lost or injured parties. IMT has at least one individual assigned to each required function of Plans, Operations, Logistics, Safety, and Communications. Additionally the team has individuals who specialize in mapping and information technology. It takes a full Command Trailer to run a mission safely and effectively! The IMT will train and maintain a team that responds and fills all the required mission overhead tasks including planning, operations, logistics, mapping, safety, communications, situation status, resource status, and information technology. 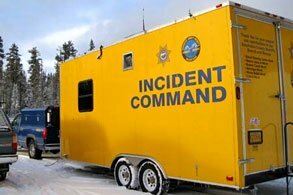 The Logistics Team is part of the Incident Management Team (IMT) as one of the 4 key areas defined by the Incident Command Structure: Operations, Planning, Logistics and Finance. Our job is managing resources and providing support for the entire team. Logistics is essential to every mission. Resources include the team members responding to the mission, the overhead or management team as well as all of the vehicles and equipment that are used. We also coordinate food, communications and medical for team members if needed. The faster and more efficient we are, the quicker we can get SAR team members out the door to save lives. The Logistics Team‘s mission is to continue to train SAR members in the skills needed to support any mission and recommend people for Logistics Chief who are fully trained and have exhibited leadership and knowledge through both training and missions.